Consulting Partners: R-L Clockwise (Sitting) Peter Gayle B.Sc., M.Phil., Marine Ecologist; Donovan Rose B.Sc. M.Sc., Geochemist; Pierre Diaz B.Sc., Oceanographer; Paul Carroll, B.Sc., M.Sc., Environmental Chemist. 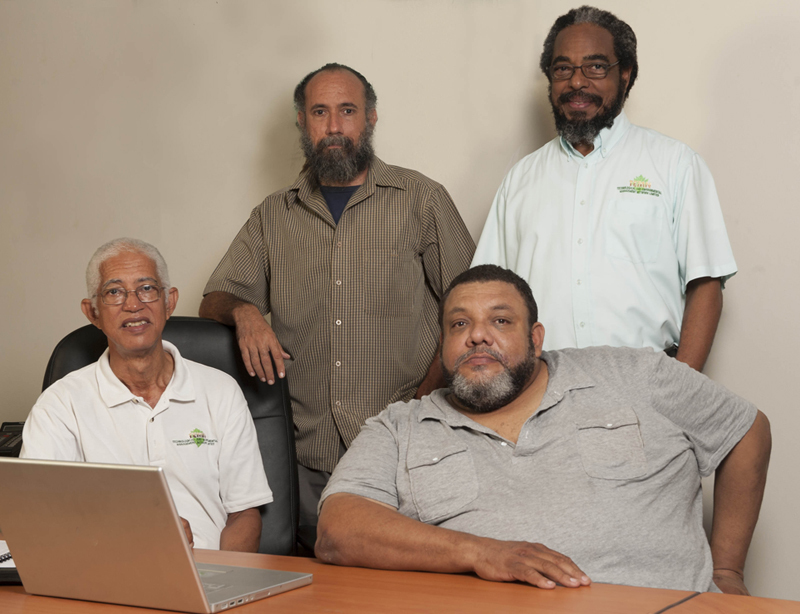 The senior consultants and associates of TEMN have all been closely involved with Jamaica's private and public sectors, and have been pivotal in the development of the country's environmental policy. Three have been past executive staff members of the Natural Resources Conservation Department (NRCD), precursor to the Natural Resources Conservation Authority (NRCA), the major Jamaican agency responsible for environmental management. The combined team brings more than 50 years of experience in working together on complex multi-disciplinary environmental studies of national significance and is committed to providing quality services by adhering to the principles of sound environmental management.